The World Health Organization’s definition of obesity is having a BMI greater than or equal to 30. (BMI greater than or equal to 25 is considered overweight). 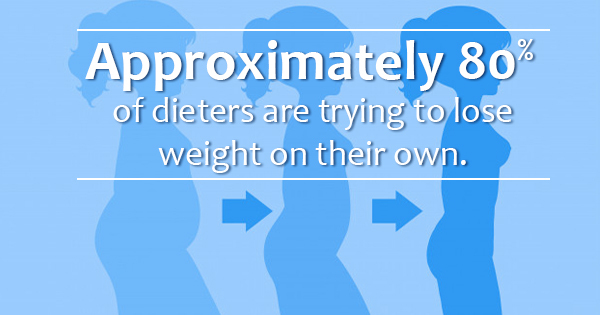 And currently, more than one in three adults are considered to be obese. Though the weight loss process can certainly be an uphill battle, it's encouraging to understand the potential mental and physical benefits your new lifestyle can have on your overall well-being and sense of self. With that in mind, here are just a few proven physical and mental benefits of losing weight and developing a healthier lifestyle. First, it's been proven that losing 5% to 10% of your weight can help to lower your chance of developing heart disease. But getting healthy exercise and custom meal plans for weight loss also decreases the risk of diabetes, lowers your blood pressure, improves your cholesterol levels, reduces the risk of certain cancers...need we go on? It's also worth mentioning that each and every patient has different health needs, which means that losing weight or developing custom meal plans for weight loss can have even more benefits than those listed here. "Your doctor can provide more personalized information about the health benefits you can expect to see when you lose weight. For example, you may be able to decrease or eliminate certain medications or reduce your risk of disease," writes board-certified physician Malia Frey on VeryWellFit. Mental health is just as important as physical health, and many of those who have lost weight report feeling more upbeat on a daily basis. You'll get a boost of confidence as you develop your healthy lifestyle, you'll be less stressed out, and you'll just feel better about yourself as a whole. Plus, you're bound to have an improved quality of sleep, which is beneficial for nearly every aspect of both physical and mental wellbeing. Approximately 80% of dieters are trying to lose weight on their own, but regardless of your plan, it's important to know how to lose weight in a healthy way. If you're interested in developing a custom meal plan that meets your weight loss goals, contact us today.